Der schönste Christbaum ist für mich ein bunter Christbaum und zwar so bunt wie alle meine Glitterlacke zusammen. Wenn ich also im Partnerlook mit meinem Christbaum gehen will – und wer würde das nicht wollen – schöpfe ich ungeniert aus meinem maßlosen Pool an Glitterlacken. Denn ich finde, dass die Weihnachtszeit vor allem eines sein sollte: eine bunte Zeit voll Spaß! 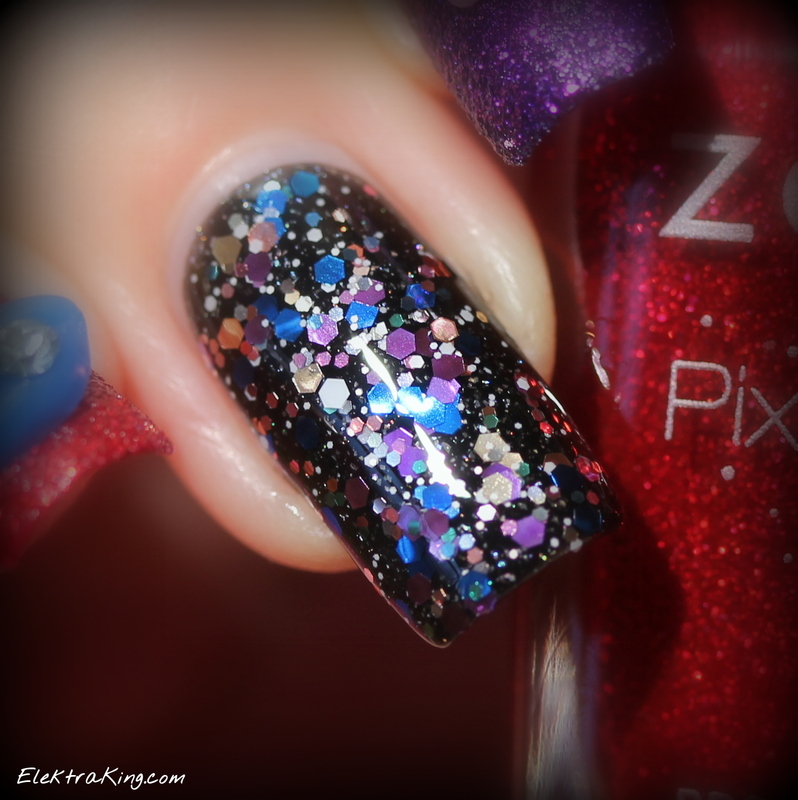 For me, the most beautiful Christmas Tree is a colorful Christmas Tree and I want it as colorful as all of my glitter polishes together. 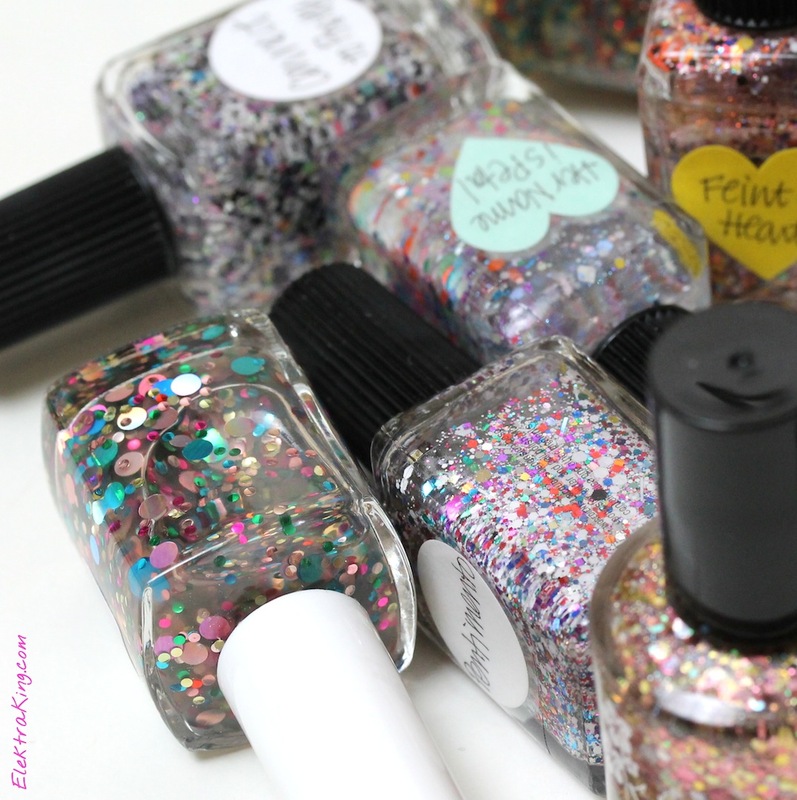 So if I wish to look like my Christmas Tree – and who wouldn’t want that – I brazenly choose from my extensive pool of glitter polishes. Because I think that Christmas should first and foremost mean one thing: that you’re spending a great colorful time with a lot of fun! Ganz ehrlich bin ich der Meinung, dass alles, was bunt ist und schön glitzert, auf die eine oder andere Weise zu Weihnachten passt. Und glücklicherweise wird diese Meinung von den meisten Nagellack-Marken geteilt 🙂 Ich zeige euch heute vier Glitter-Looks, die für mich im Speziellen besonders schön in die Weihnachtszeit passen. Honestly I am of the opinion that everything colorful and sparkly fits very well for Christmas in one way or another. 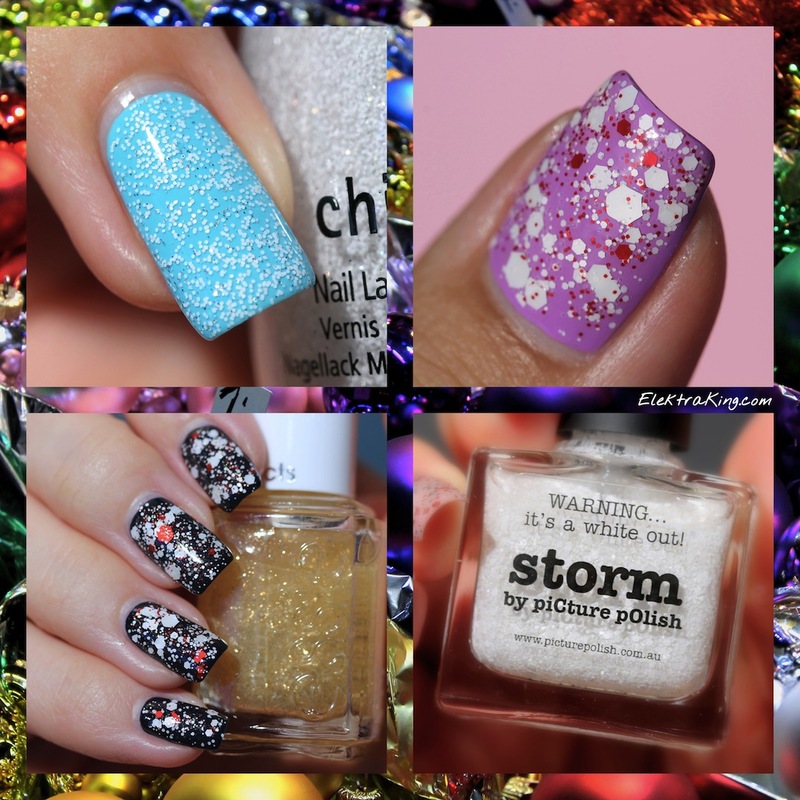 And luckily most nail polish brands share this opinion 🙂 Today I’m gonna show you four glitter looks that I love to wear during the holidays. 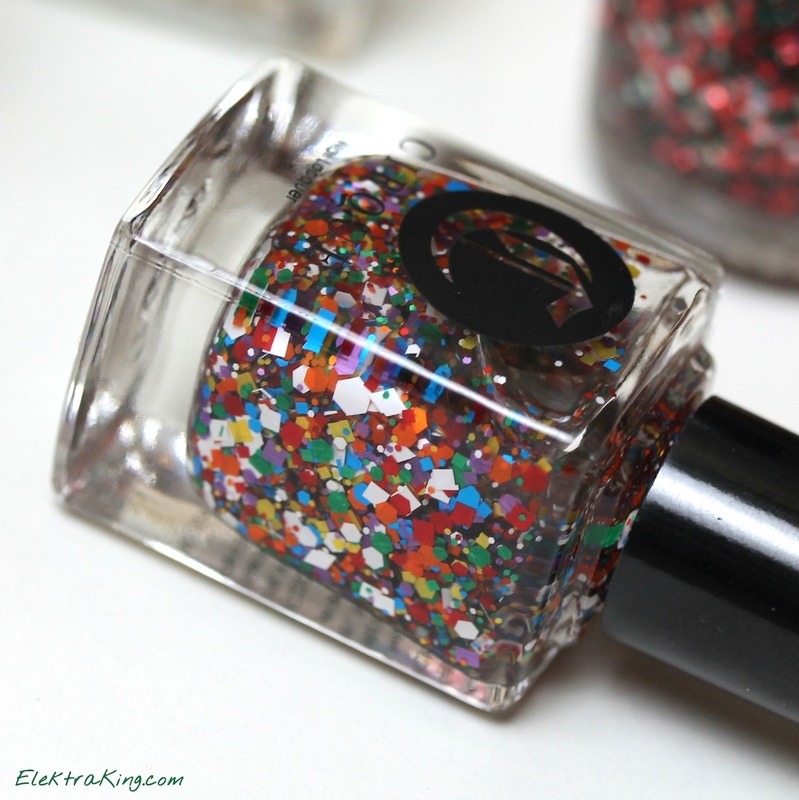 China Glaze hat letztes Jahr den Glitter-Topper Your Present Required herausgebracht und ich finde, dieser Lack hätte viel mehr Aufmerksamkeit verdient, als er tatsächlich bekommen hat. Er enthält Hex-Glitter in vielen unterschiedlichen Farben wie Blau, Violett, Gold, Pink, Silber und sogar Weiß. Gefällt mir total gut! 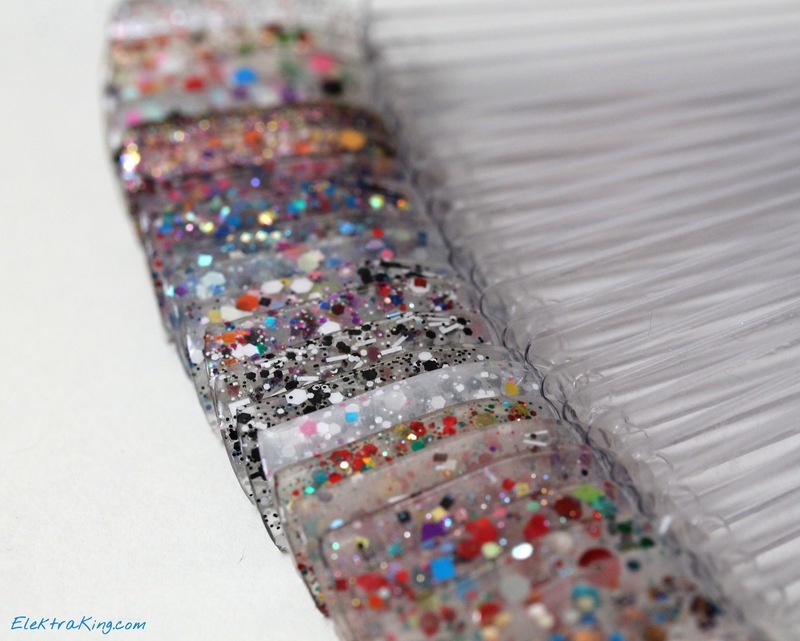 Last year China Glaze released the glitter topper Your Present Required which should have gotten way more attention than it actually did. It is a colorful mix of blue, purple, gold, silver, pink and even white hexes. It’s so pretty and I love it! 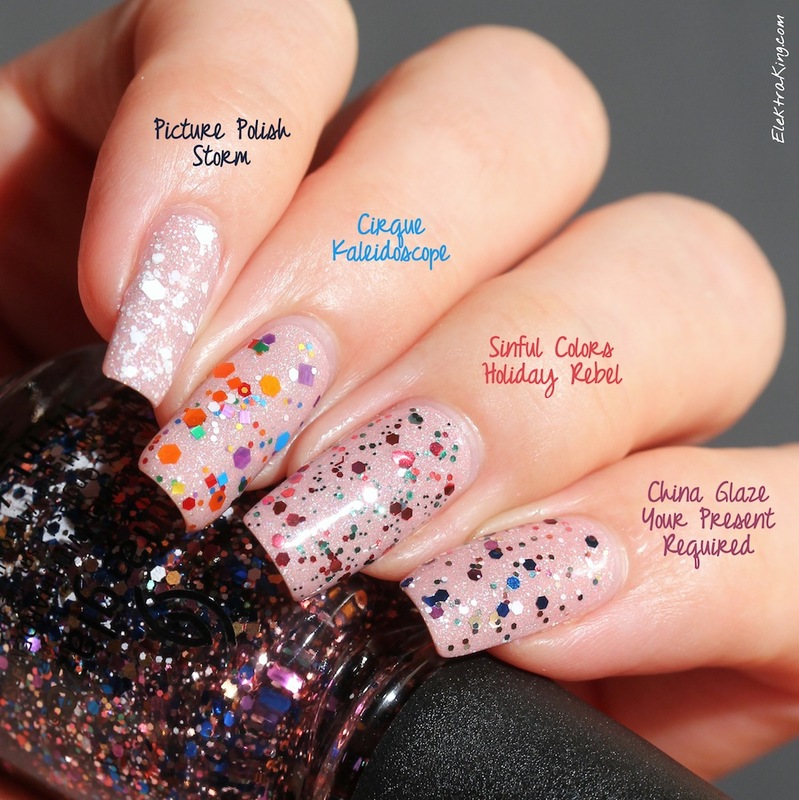 What’s your favorite glitter polish for the holidays? My Christmas glitter collection is rather sparse, it is just my second Christmas with this addiction and I used to hate glitter.